There is a garage right accross the street from PABU at 33 Arch Street, Boston MA, 02111. MBTA - Orange Line- Downtown Crossing will let you off directly in front of the restaurant. Please visit the MBTA website for details. The music at PABU - Boston is inspired by Quentin Tarantino soundtracks. 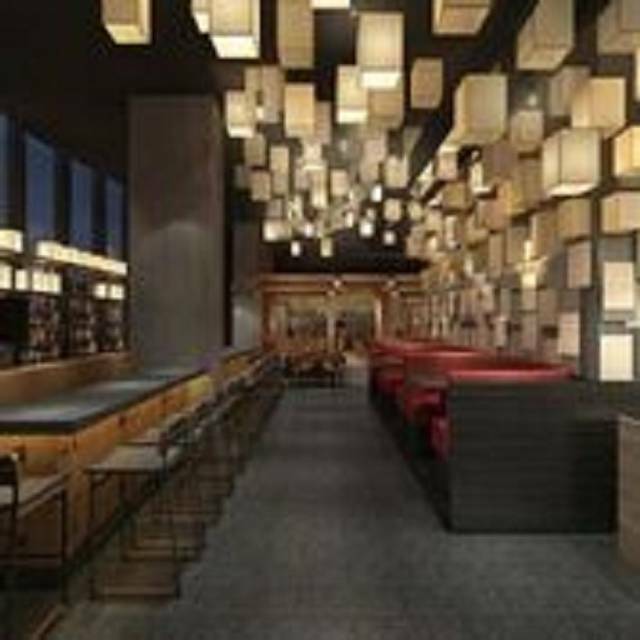 Retro cool tracks set in a modern context, the music at PABU - Boston serves to create energy in the room. 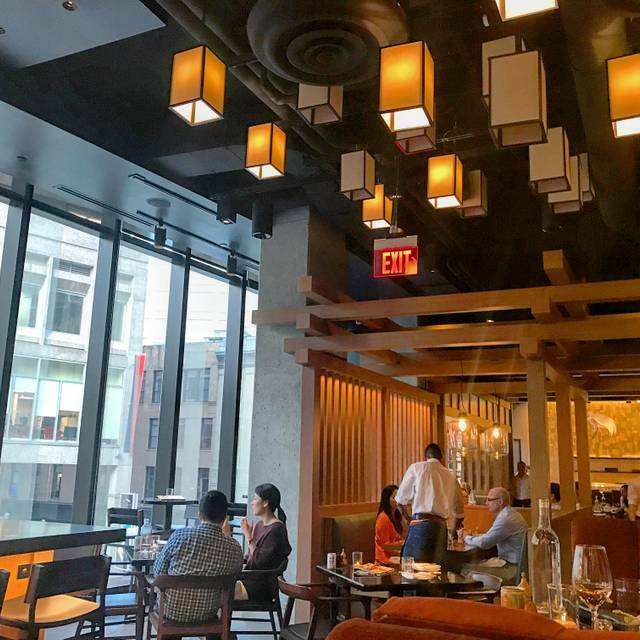 Chef Michael Mina and Chef Ken Tominaga bring forth PABU, a modern take on traditional Izakaya-style dining to Boston’s Downtown Crossing neighborhood, located on the second level of the Millennium Tower. PABU presents a contemporary take on Japanese-style dining traditions, using modern technique and presentation to amplify time-honored recipes and market-fresh ingredients. PABU will source the finest of shellfish and seafood directly from New England¹s waterways, as well as from Japan¹s famed Tsukiji Market. 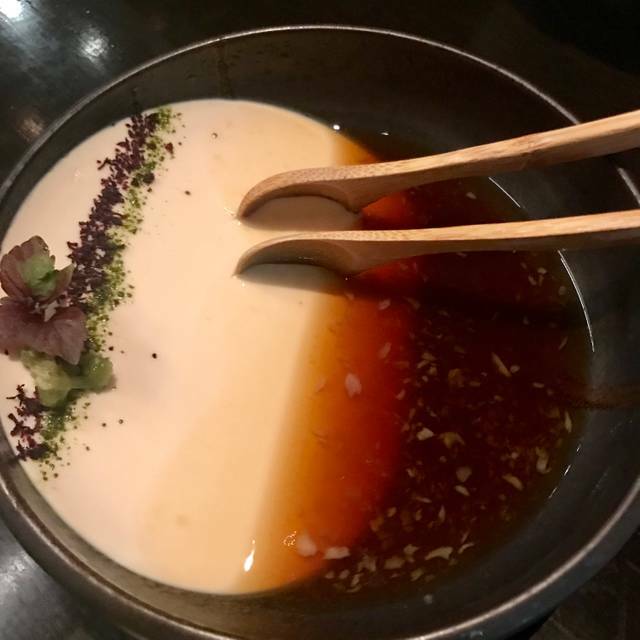 The extensive menu of sharable items is ideal for convivial dining ­ guests can choose between Cold Small Plates, Hot Small Plates, Sushi, Robatayaki, Large Plates, PABU Steaks, and Dessert. 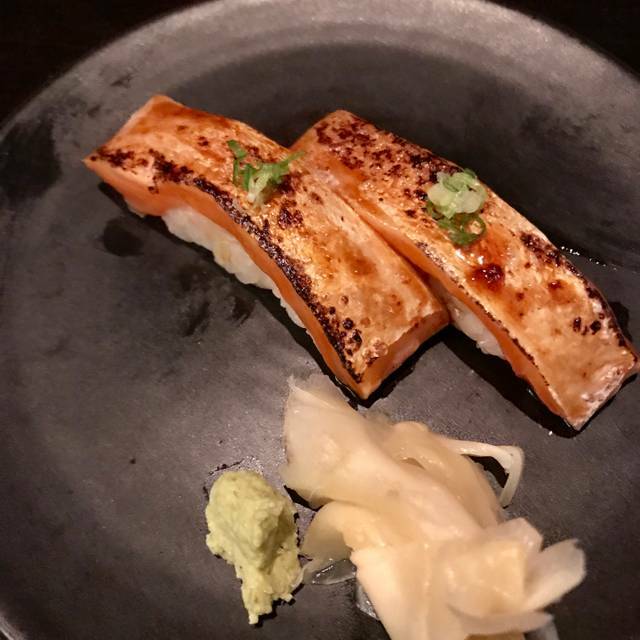 Not to be missed is Ken Tominaga¹s omakase nigiri ­ an experience of culinary expressionism, boasting beautiful courses of Edo-style nigiri served two pieces at a time - also offered with an optional sake pairing. 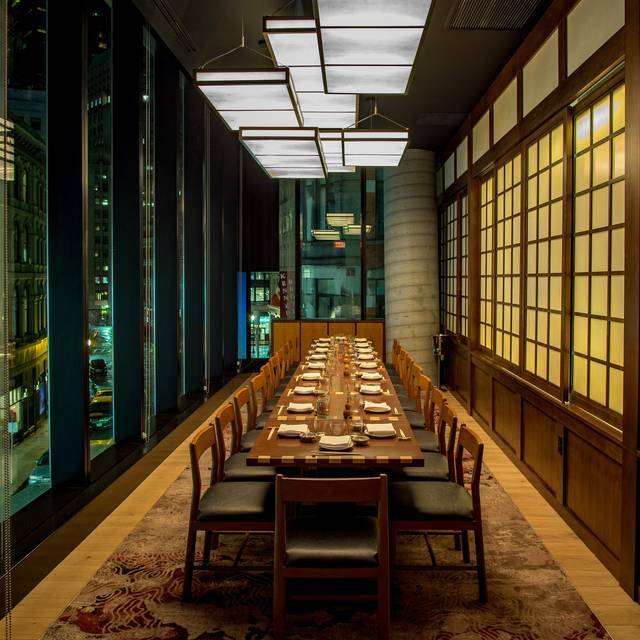 Combining rustic, old-world Japanese charm with modern, sophistication. 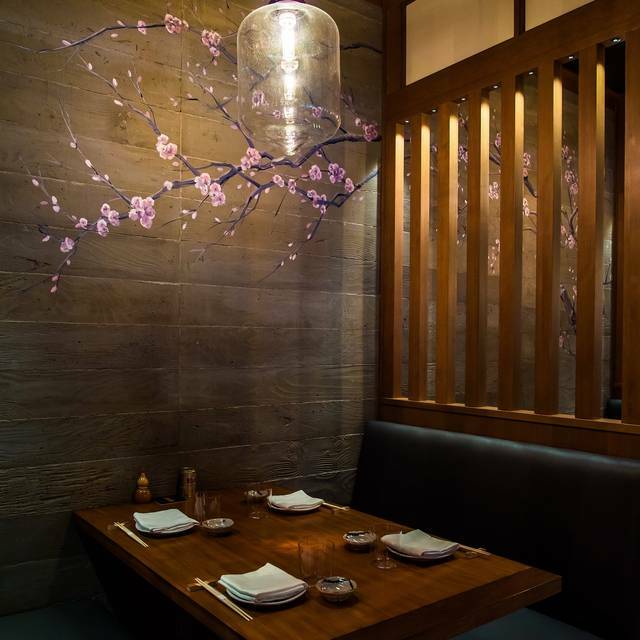 Enjoy Easter Dinner at Pabu Boston. The restaurant will be offering their regular dinner menu. Our waiter was terrible and so so uncomfortable. We sat at our table with no water or menus for about 20 min until he finally came over and realized we had nothing. The food was subpar. While the sashimi was the real star of the whole meal everything else feel short even the sushi. The squid appetizer was FAR to big and lacked just general taste. It’s texture was rubbery those making it hard to finish the whole thing. Solid bar menu with creative choices. Dinner menu is good mix of traditional and creative apps, rolls and dinners. Sushiimi presentation was awesome, and so so tasty. I’ll be back. The highest quality ingredients, simply prepared to enhance their natural flavors. Sushi fans should make a special effort to try this restaurant. I’ve been there a few times already and the food is excellent! The menu is very diverse and there’s lots of interesting things to order. I will continue to go back over and over again. You must get the Ken roll. Food just ok. C+ at best. Server was very polite and super knowledgeable. Wayyyyy too pricey for what you get. 32 for a lobster maki is a joke. Food was amazing, service was great. We couldn't have enjoyed a better night. The worst service I have experienced in a long time! Great restaurant for a fun night out with the girls, a business dinner, or special occasion with your someone special. The food was really great. The drinks were tasty, BUT they were so slow getting to table. Both water and cocktails were hard to come by. Our waiter was great when he was with us, but wasn't super attentive throughout the evening. Overall the service didn't meet the standards of a fine restaurant, but the food was so good, we're willing to go back and try it again. Just an anecdote for the waitstaff - don't announce people's drinks to the table. I ordered a cocktail and then whispered to the waiter "no tequila I'm pregnant. "A different server delivered the drinks to our table and announced "mocktail" when placing mine. You can imagine the looks I got - and well my news is out. Either the waiter should have told the other server. Or the other server should just know who gets what drink. I wasn't ready to share my news, but was forced by an avoidable drink blunder. Awesome food! Uni, Salmon Belly Yellowtail fresh and special. Marinated pears in ginger as a mouth wash incredibly tasting. Service a bit disappointing, ordered ipa beer, served the wrong one, closing at 22 at 22.10 everybody pushed out by waiter’s behavior; not the japanese chef he was extremely ingenious and nice... 2 opposite levels: pro chefs vs naive waiters at first experience. Serving dishes extremely slow! In addition, service quality depends on how much you ordered! Checked in with the hostess and waited at the bar. We were ignored by both bartenders for 15 minutes. The hostess did not notify us when our table was ready, we went up to the stand to check in after our reservation time had passed and were told it was our responsibility to come to the hostess at the time of our reservation. Food was good, nothing stood out particularly. Our server was great. There are better options around. It has great vibe for a quiet dinner and the servers were overly nice. Some of the tables are close together, so if you want a more private setting, choose corner tables with the dividers. The food is fresh and excellent! Ordered the Dine Out Boston menu and three additional a la carte items. Everything was kind of underwhelming - they weren’t bad per se , but definitely not a wow for the price they were charging. The fried pork chop was a meh, the fried chicken was a meh, ( I could easily come up with a long list of small diners and casual restaurants that offer better fried meat for a much lower cost ) the Tuna tartar was a bit too salty. The Happy Spoon Oyster and dessert was great, but then again they would be too expensive to not to be. Waited for a long time to try the place and it didn’t quite deliver to meet my expectations. Truly enjoyed the experience. Food was outstanding. Good drinks and food but a little over priced for what you get. I would go back for a drink and poke tuna app. Service was excellent. Menu prices are very high compared to value. Awesome food! Small plates, you have to order more than one per person. The service was amazing. Delicious food! It took a little bit long to wait. Awesome ambiance, nice food though a bit pricy (esp. Dine out Boston menu was not a good value), service was not satisfactory. Still, I like their food. Sushi is great but other dishes are underwhelming. The mushroom tempura really lacks flavor and the flank steak is over cooked for such a good piece of meat. The service was EXCELLENT and the waiter was really careful! Will visit again! 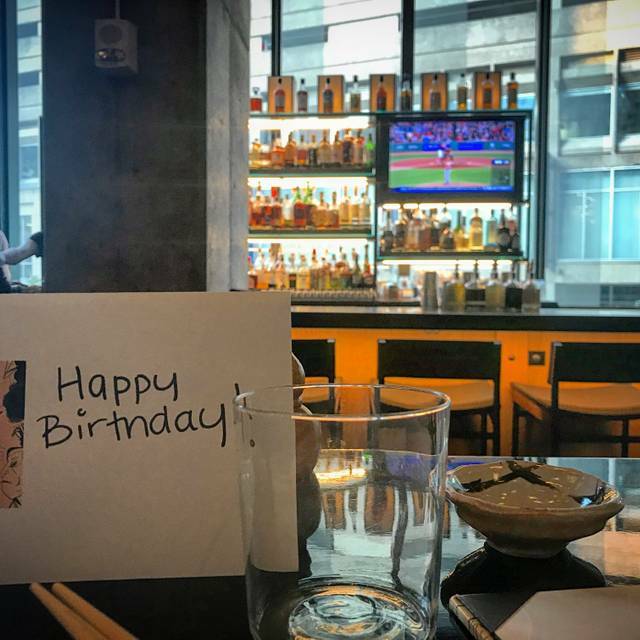 There are many nice Japanese restaurants in Boston area, PABU is not going to be a top choice anymore due to their very disappointing service. Food was good and nice location. Love how they treat food! We oder the dine out boston menu, $38 with great quality! Despite the reservation for the counter, we had to wait for 25 min. A lady at the front said we can have the same omakase menu at a table. No way! Sushi at a table is totally different from that at the counter. Once we got a seat, we had to wait for each dish from the kitchen before being served sushi. They offered a complimentary dish but we were still not so happy. All sushi were better than I expected using Japanese standard. Next time, we will order only sushi at the counter. The food here is really good. Strongly recommend to try once here. Especially the spider roll. The price of foods is also expensive. For me, 40 dollars but not full. Food was very good. Had the option if table or bar seating. Had table service in the past with exceptional service. Decided to sit at bar to try it out. Food was very good however the service was very poor. Inattentive. Very surprised. Don’t recommend sitting at bar unless you’re just having drinks. Usually love everything about Pabu both in Boston and SF. It was a Sunday and service was not up to snuff. Had issues with advice on sake and then server didn’t bring it until we asked for it when he came back to take our order. Miso soup arrived toward end of the meal. It was a slow night but waiter wasn’t attentive. still my favorite japanese restaurant in boston. Finally a restaurant in Boston that wants to make you are enjoying the experience! This restaurant promised to be special, but overall let us down in some spots. Atmosphere - A cool spot, no denying that. However, very limited intimate seating. The seating rather felt communal with little separation from nearby conversations at other tables. Service - Our server and waiter were both very attentive and knowledgeable, no complaints. Drinks - Decent wine list, great innovative cocktails, and impeccable whiskey list. Food - This is where PABU let us down most. We had a sushi course, robayataki course, and several small plates. The sushi was just ok, nothing particularly wowed us. The robayataki course was served all at once, so by the time we got to each part, the meats had gone cold and lost their important textures and flavors. 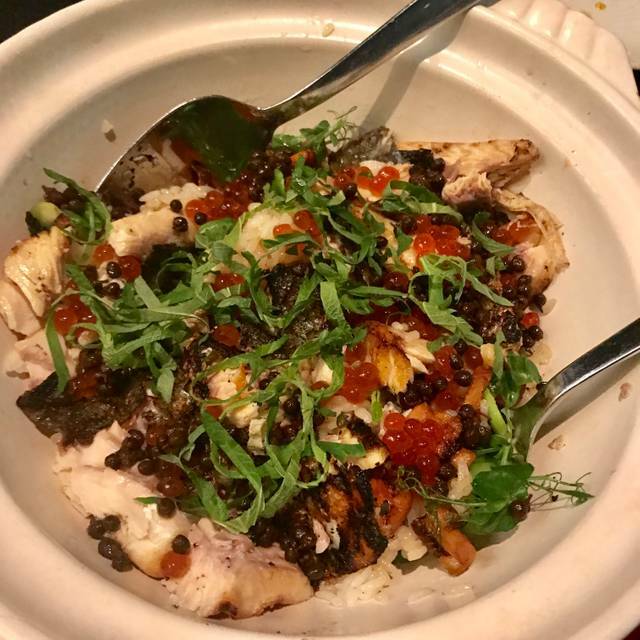 The star was the miso cured sea bass, this is a favorite dish of ours and this iteration was very good. 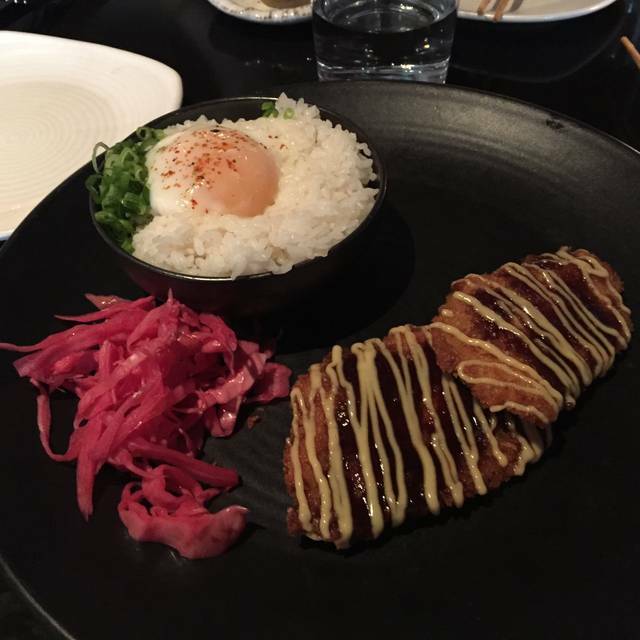 Value - While this can’t be considered “fine dining” the value for money at PABU is 3/5. The prices and expectations are high, and the food just fell short. Coupled with a cramped, loud atmosphere, I just don’t think we’d go back with so many other options available in the Boston area.